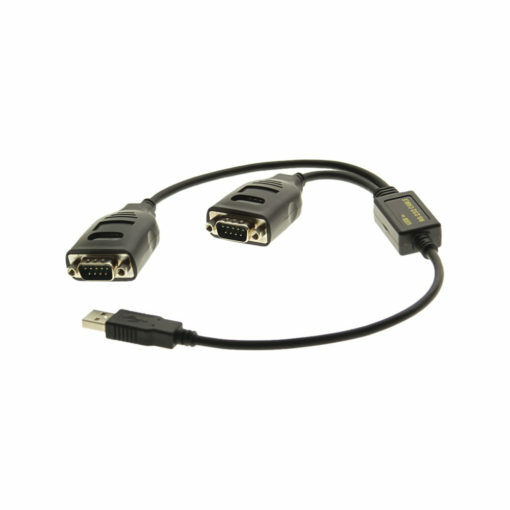 The CG-2X232 equips your system with Dual Port USB to RS-232 serial connections while utilizing only one host USB port! Connecting devices like serial modems, GPS receivers, serial printers, and PDAs has never been easier. Provides more control over serial devices through the USB connection. Add two new RS232 COM ports to your computer an d utilizes the Prolific Chipset. Supports RS-232 data signals: TxD, RxD, RTS, CTS, DSR, DTR, DCD, RI, GND. Easily installed through an install wizard. The CG-2X232 Dual Port USB to Serial RS-232 Adapter is perfect for laptop and desktop users. It is light weight and compact, so you can take it with you when you’re on the go. This device is also fully plug and play compatible, which provides you with the flexibility of hot swapping your serial devices without rebooting. Expand your PC or Notebook computer by using this USB to serial RS-232 Converter. Gain more control over your current serial devices through your USB technology. Small and convenient, the USB serial RS232 2-port converter can enable and expand your peripheral usage many times over. The USB Serial Dual-Port converter with Prolific USB Technology allows the use and operation of two serial devices via USB control simultaneously. The USB serial dual-port converter is self powered through the USB Port it’s connected to. The Dual Port USB serial converter adds 2 additional rs232 serial ports to you PC or Laptop as seen in the images above. To install the device on your computer, first insert the converter driver CD into your CD-ROM drive and install the drivers. After the drivers have been installed, connect the Dual Port USB to rs232 serial converter to your USB Port. The new hardware wizard in Windows after connecting the USB serial rs232 converter to the USB port should automatically recognize the new hardware. 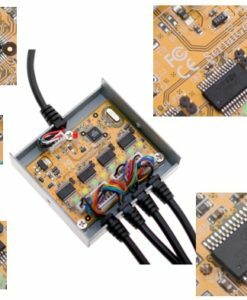 You will see the new hardware wizard several times as it must install the driver for each of the rs232 serial ports to function properly with the USB port. You will see that the prolific USB serial bridge drivers will be installed for each new piece of hardware found. NOTE: If for some reason the Dual Port USB to serial converter is not recognized after connection, try rebooting your PC or laptop or manually adding the hardware through Add New Hardware Wizard.